Starobinets, doe-eyed and diminutive, has emerged as Russia’s “Queen of Horror,” though her literary prowess has also elevated her to the elite category of “intellectual fantasy.” Born in 1978, she is also a well-known journalist. She is indeed a singular talent, though it is unclear that the translation of her first collection can bring her a foreign audience. The central character in “An Awkward Age,” Maxim, metamorphoses into something demented, and even darker than Frank, the child in Iain Banks’ controversial book, “The Wasp Factory.” Just as mental illness explains Maxim’s evil deeds, the story veers into visceral horror focusing on molt and decay and hideous rebirth. Still, Maxim’s wretchedness is not utterly unsympathetic. Like other Starobinets characters, he is spawned in an oppressive and unhappy atmosphere: His parents appear to at least enable his metamorphosis. His mother stands by haplessly as he turns inward except to threaten others. Maxim gets fat and ugly. Insects travel up his nose. He eats other kids’ lunch. He hoards sugar. He sews things into his pillow. He tracks his sister’s menstrual cycle. His mother finds his diary, a revelatory piece of poetry tracking the sickest of minds and the disintegration of a personality. The story “The Rules” starts out simply enough with a child who has obsessive-compulsive tendencies. Again, Starobinets shows a deft understanding of the plodding, day-to-day strategies and reasoning of the mentally ill. Many kids have times when they have to count or repeat words, believing if they don’t something awful will happen. But something awful does happen to this little boy, and a voice in his head tells him that “the rules” are about to get much more complicated. It is a voice to chill a reader’s heart. Mental disorders and illness are a motif for the author. At first it allows the reader to explain some of the misfortune, tragedy and evil of these stories. But there is something else that smells bad in the fridge (in one story, the main character falls in love with bad food from the refrigerator). In other words, illness does not explain the depths of the hideousness. There is a theory that all of the anxiety and helplessness and anger of a family can stow away and fester in one vulnerable family member, the one who gets sick, or even becomes a monster. It is this way that Starobinets looks at society itself. So is Starobinets more than a horror writer? 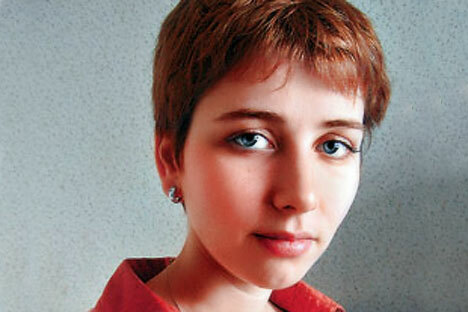 In Russia, she has been compared to Stephen King and even Kafka. Her stories communicate something urgent, if elusive, through schizophrenic characters in anti-fairy tales. The reader does not always understand what is real or imagined, only that neglect is never benign, in a family or society, and that all monsters come from some mother’s womb.